This past weekend I was exceptionally busy with my children. I am very happy to say I did really well with sticking to my vegan diet. What works for me is packing healthy snacks for everyone. Well, I’m well into my second week on my vegan diet. I started my day with a cup of green tea. 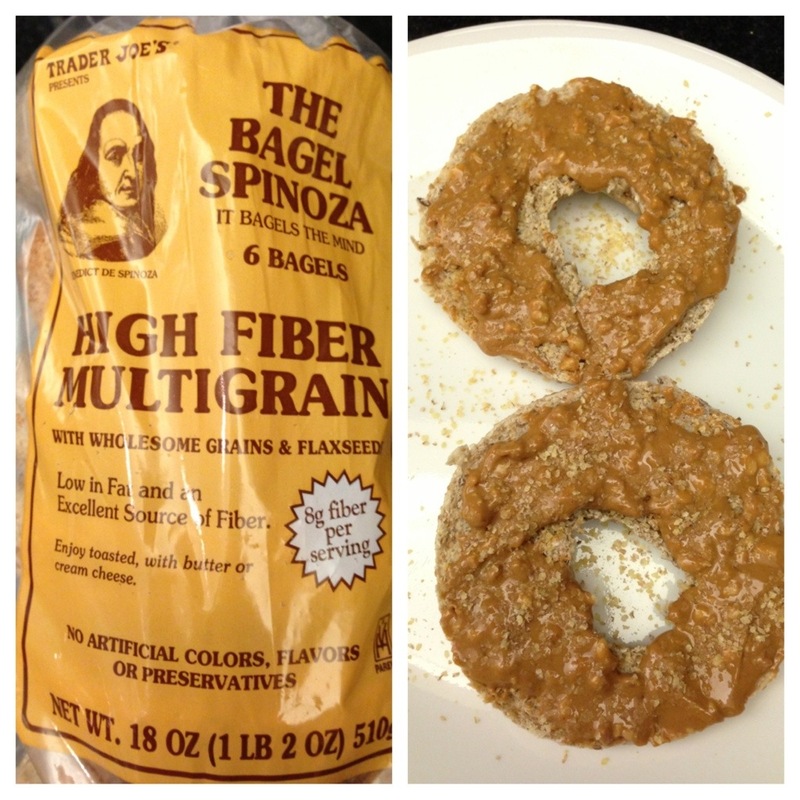 I then ate my favorite bagel with peanut butter of course. 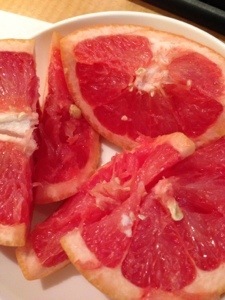 I also had an organic grapefruit! For dinner last night I cooked a vegan curry dish. It was really delicious! I also brought some in today for my lunch. 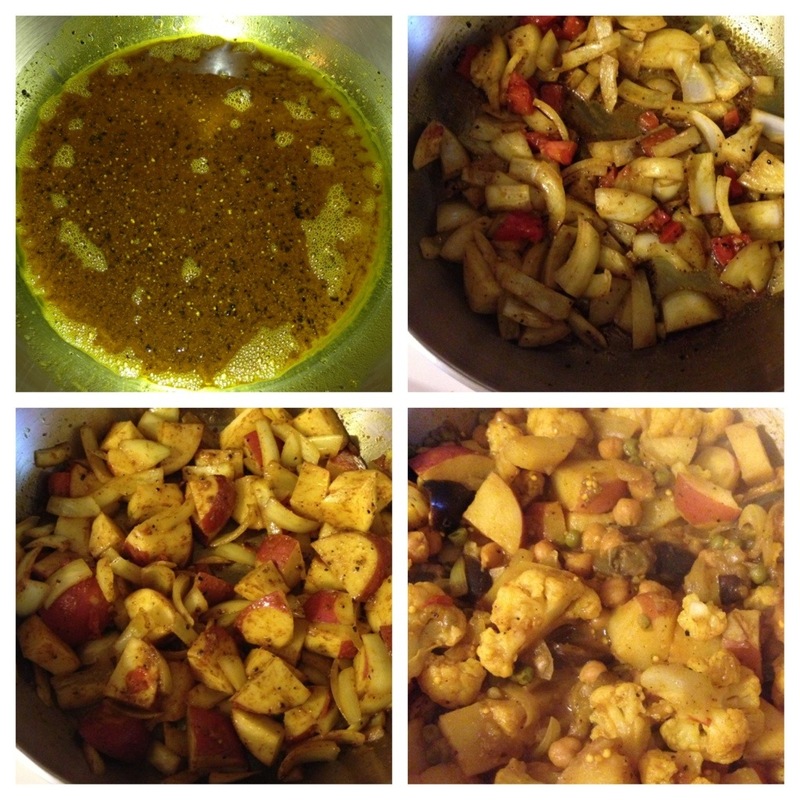 I started out with a little olive oil, turmeric, a pinch of cinnamon, curry and fresh cracked black pepper. I sautéed my onions, garlic, tomatoes, and ginger. Cooking with turmeric is indeed healthy for us. Numerous studies have looked into this potential cancer-fighting link with curcumin, and promising results. Turmeric (Curcuma longa), is a bright yellow spice. After about 3 minutes I added potatoes, Eggplant, cauliflower, chip peas and green peas. I then added some water and simmered it down until everything was fully cooked. This will last me for two days. It’s simple, very tasty and nutritious. I had this with a little brown rice for dinner. Thanks for sharing your progress! You make it look easy, girl! Oh my, turmeric is one of my pals. When I whiten my teeth I always miss it terribly! Your food is clearly scrumptious. Keep it up!